GIVEAWAY HAS ENDED. THANKS FOR ENTERING! I watched this movie with our daughter and you should watch it with yours too. The lesson of God’s special love for each one of us and that we are all different because God made us that way, was a great reminder for her and I. It is natural for us to want someone elses life because it looks easier, or they drive better cars, or wear nicer clothes and beautiful homes. But, that isn’t the life God wanted for us. We need to remember that we all have special gifts and using those gifts to faithfully honor Him is what God intended. Reagan, age 6, really enjoyed the movie. When I asked her what she like best, she said she liked the songs in the movie. She is loves music and said the songs in the movie were fun to listen to. As the mom, I liked the message of family values and loving ourselves and others just the way they are. 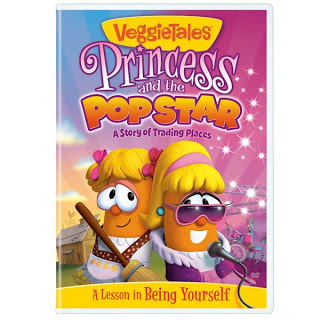 This is definitely another winner in the VeggieTales collection. You can find this movie at your local Christian retailer or Wal-Mart. Now for the best part…I have a VeggieTales Prize Pack to giveaway to one lucky reader. The VeggieTales Prize Pack includes VeggieTales Silly Bands, A VeggieTales CD, and a Laura Carrot Bouncy Ball. To enter this prize, leave a comment below telling me your child’s favorite VeggieTales character or movie. Only 1 entry per person. All entries must be submitted by 11:59 PM on Sunday, October 2, 2011. I will use random.org to choose a winner on Monday, October 3, 2011. I will contact the winner by email and the winner will have 48 hours to respond or I will choose a new winner. 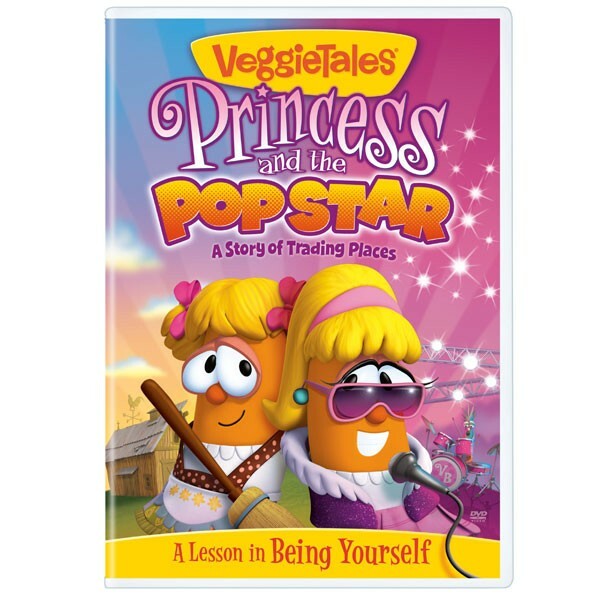 As a VeggieTales Ambassador, I received this movie to review and share with our church community. This review is my honest opinion and I was not compensated in any other way for this review. I would not review anything that wouldn’t benefit myself or my family. My 4 and 6 year old love Veggie Tales. They're favorite character is Larry the Cucumber. They would LOVE this! Thanks for the chance! Thanks for the chance to win, my daughter likes Larry the Cucumber.